Bernardo has already provided a swift and trenchant response to the critique of our recent Scientific American blog on psychedelic neuroimaging by six leading figures in that rapidly bourgeoning area of research. Here I wish only to add a few further comments, focusing primarily on issues of particular interest or concern to me. It is noteworthy first that the authors do very little to address directly the intriguing topic announced in their title – “What Psychedelic Research Can and Cannot Tell Us About Consciousness” – and devote most of their attention instead to the theme of their subtitle – “A recent Scientific American blog misconstrues and oversimplifies the research”. Let me speak immediately to our allegedly oversimplifying “the details” of the studies we discussed. These studies are all enormously complex, and within the constraints of the Scientific American blog forum (strict word limits, technical discussions discouraged) there is no realistic possibility of getting into the details of any one of them, let alone the whole lot. The best we could hope to accomplish was to convey a faithful overall impression of what has been accomplished to date and to indicate where the research seems to us to be heading. I believe we succeeded in that, but our critics do not. They go on to give two primary examples of how we supposedly misconstrued the available findings. One, which Bernardo has already dealt with at some length, concerns the observed sharp reductions by various agents of activity in brain networks associated with ordinary conscious awareness – in effect, the neural embodiment of the everyday self or ego. Amazingly to us, the researchers now want to back away from their own early findings of this sort, which as Bernardo shows again in his rejoinder are anything but subtle. The observed reductions, that is, are big effects, easily detected using conventional and straightforward analysis techniques. They satisfy what statisticians sometimes jokingly refer to as the IOT test (InterOcular Trauma – it socks you right between the eyes). Those results are certainly not going away. Even relatively simple neuroimaging methods can easily distinguish between wakeful and drowsy states and other commonplace conditions, yet here we seem to be having difficulty finding anything in patterns of brain activity that is even remotely commensurate with the extraordinary phenomenology of psychedelic states. Now consider by contrast their other example, which involves possible increases in other aspects of brain activity that they think might help us understand the extraordinary phenomenology of psychedelic states. They accuse us of misrepresenting the observed increases in multichannel MEG signal “diversity” produced by several agents as “small” effects. What really matters, they now declare, are the statistical significance and effect sizes (using Cohen’s d) of the observed increases. Those results, however, depend strongly upon the very large numbers of 2-second MEG data segments that enter into the analyses. The exact Ns are not explicitly stated, but given information provided elsewhere in the report they likely range from something like several hundred for the psilocybin data to several thousand for the ketamine data. These large numbers are what drive successful statistical discrimination of mean differences between drug and placebo conditions that in absolute magnitude are in fact appropriately described as “tiny” rather than merely “small”. Specifically, on a diversity scale of 0 to 100 they average on the order of .005 across all drug/placebo pairs, and occupy the interval between .98 and .99 (see Fig. 2 in Schartner et al., 2017). For several subjects the observed mean differences between drug and placebo conditions even go in the wrong direction. Now, an enormous amount of unusually sophisticated computation went into the generation of these results, and to both Bernardo and me they seem puzzlingly meagre. After all, even relatively simple neuroimaging methods can easily distinguish between wakeful and drowsy states and other commonplace conditions, yet here we seem to be having difficulty finding anything in patterns of brain activity that is even remotely commensurate with the extraordinary phenomenology of psychedelic states. Our critics are not troubled by this; instead they go on to describe some of the relevant experiential properties and simply urge us to believe that they will all somehow, someday, be “accounted for” or “underpinned”, or “explained by” physical properties such as the “diversity” of the accompanying brain states. Let me remark here parenthetically that I don’t think “diversity” in the sense of unpredictability or randomness in multichannel neuroelectric signals is by itself a very good candidate for such a property. To me the facile equation of brain signal diversity with experiential richness and complexity seems at best premature, and reminiscent of the many instances since publication of Shannon and Weaver’s original treatise on information theory in which cognitive scientists and neuroscientists have glibly conflated technical and everyday meanings of the word “information”. Be that as it may, however, Bernardo and I can certainly agree with our critics that psychedelic neuroimaging research is at a very early stage in its development, and we certainly don’t profess to know how far it may ultimately get. Indeed, in the original blog we even offered a concrete suggestion of our own as to how to carry it further. But our critics don’t know either, and here we arrive at the bottom-level disagreement. All of them are apparently conventional physicalists, and for persons of that persuasion it is simply axiomatic, a given, that everything in mind and consciousness must be manufactured by, or in some mysterious way identical to, neurophysiological events and processes in the brain. In our original blog we had provided indications that not only popular interpreters of psychedelic neuroimaging research but the researchers themselves were showing signs of bias in favor of this physicalist picture, and Bernardo has already demonstrated that this 6-person response to our blog amounts to more of the same. Everything comes to a head in their final paragraph, where they now start by accusing us not merely of misrepresenting but of deliberately misrepresenting their findings in order to motivate an alternative non-physicalist view. That accusation is false and offensive. To set the record straight, Bernardo and I began our very different scientific careers as conventional physicalists ourselves, but we have long since changed our minds in light of arguments and evidence presented in voluminous detail in earlier publications. We approached psychedelic neuroimaging research as genuinely interested and admiring outside observers, viewing the subject through that independently justified lens, and we could not help noticing the evident tensions between physicalist expectations and the experimental results that had started coming in. As a scientist with long-time involvement in the field of psychical research, I also noticed that the most prominent reported physiological effect of psychedelics, the reduction or disruption of activity in networks that stabilize ordinary everyday consciousness, has parallels in recent neuroimaging research with advanced practitioners of various kinds of meditation, and that both of those situations could be viewed as steps on the way toward one of the main empirical challenges to physicalist neuroscience – namely, mystical-type near-death experiences (NDEs) occurring under extreme circumstances such as deep general anesthesia and/or cardiac arrest in which physiological conditions regarded by virtually all contemporary neuroscientists as necessary for consciousness have been abolished. Our critics end by openly revealing themselves as guardians of the physicalist faith, intent upon defending it against potentially dangerous infidels. It seems to them that merely by entertaining any possibility of an alternative conceptual framework or worldview we are somehow putting at risk the legitimacy of the emerging neuroscience of consciousness. That in my opinion is patent nonsense. 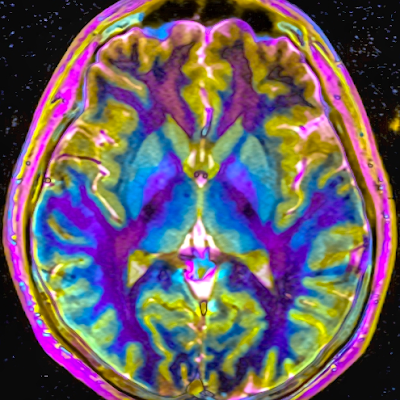 Their own efforts in psychedelic neuroimaging are certainly not at risk. Indeed, one of the most exciting developments in contemporary neuroscience is surely the rapid intensification of efforts to relate improved measures of brain activity to improved measures of the phenomenological character of associated states of consciousness, and psychedelic neuroimaging provides an ideal arena in which to pursue and deepen that inquiry precisely because of the extreme character of the states involved. Friendly criticism ought not be perceived as a threat. The research will certainly go on unabated, and all of us – we and our critics alike – are enthusiastically supportive of that. Let the empirical chips fall where they may. Bernardo and I have evidently had no impact whatsoever on these six critics, at least not yet, but perhaps other readers will prove more open-minded. Copyright © 2018 by Edward F. Kelly. Published with permission. The great American psychologist and philosopher, William James, talked about live and dead options as a window through which to view the receptivity of novel or divergent ideas. (As an aside, just imagine how fertile and exciting intellectual life must have been in the late 19th/early 20th Century, when two such fields of thought, today so differentiated, could be elegantly united in one thinker). New concepts or modes of thinking made an initial appeal based upon their instinctive believability to a particular group or individual. The new ideas were either live or dead BEFORE they were even expressed, according to the prior conditioning of the audience by common life experience and shared world view. The acuity James' observation, made long before cognitive dissonance became a hot topic, is on display in this controversy. Bernardo and Prof. Kelly are attempting to dialogue with a group of scientists for whom ANYTHING beyond materialism is a dead option, literally DOA. Thus it is doubtful that these scientists can even hear, much less evaluate and substantively counter, what Bernardo and Prof. Kelly are suggesting to them. As they have been conditioned to see things, one might as well attempt to debate or qualify the interpretation of their findings based upon the possible existence or influence of Santa Claus. Psychedelics do increase gamma brain waves. Gamma is one of several bands, or frequency ranges, of neural oscillatory activity. That activity of a certain frequency range increases in a certain region of the brain doesn't necessarily mean that activity as such increases in that region of the brain: across all bands, activity may decrease if in the other bands it decreases more than it increases in gamma alone. Measurements of Cerebral Blood Flow (CBF) are not band-dependent, covering all ranges, so if CBF decreases, activity as such decreases, even if there is a relative increase in a specific range. Only decreases in CBF have been observed for the psychedelic state, a result now replicated multiple times. Indeed, MEG measurements have shown that psychedelics only decrease activity in the delta, theta, alpha and beta bands-- i.e. all the other bands. Gamma has not been measured by this study because it is notoriously difficult to differentiate true gamma activity from muscle artifacts, something to always keep in mind. I came here from your recent SciAm articel, Physics is Pointing Inexorably to Mind - a very nice article by the way. I am curious as to whether you and Professor Kelly are familiar with the Tiller Institutes' Autism research? see also this genetic study from Yale. Basically, the Pilot Wave includes components that always, always move at superluminal velocities and our nervous system acts as a massive wave guide array, intercepting and interpreting the information encoded in these waves; based on Dr. Tiller’s own research, it appears as though entities with nervous systems are also capable to transmitting information superluminally using these waves. Wim Hof, aka The Iceman, alters immune system. If you are interested, I can supply additional theoretical support for Tiller's theory - primarily from David Hestenes and Kevin Knuth, which is itself supported by additional empirical data. I look forward to reading your new book!